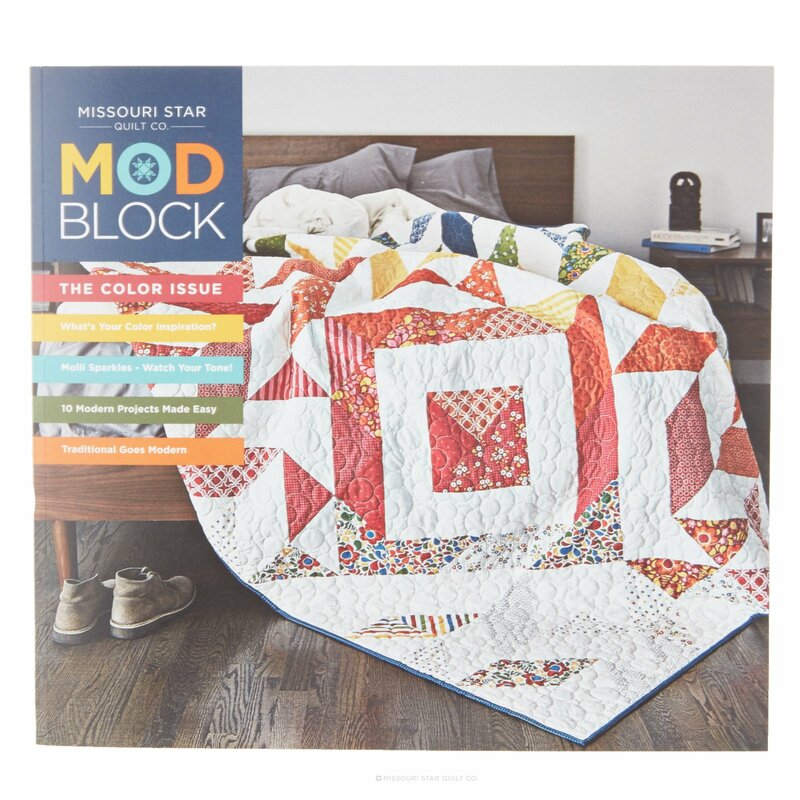 We are so thrilled to introduce our first edition of Modblock. Our philosophy has always been that quilting should be fun, that there are no quilt police, and that a mistake is really just a new idea waiting to be developed! We feel the Modern movement fits in perfectly with our thinking. Modern quilts have sparked our desire to learn and try new techniques, to play with shapes, try new colors, and break down the rules and barriers of traditional quilting. These types of patterns are perfect for beginners who are ready to break into the world of quilting. They are also fun for the more seasoned quilter who is ready to try something new. There is a new-found freedom that you feel when making a modern quilt. You can follow the pattern or break free and choose your own design path. There are no rules, just great ideas to help you get started! In this edition we will discuss color theory, improvisational piecing, traditional paper piecing, quilt-as-you-go, and the use of traditional quilting tools in unexpected ways. It is our goal to get you excited about trying new things and taking some quilting risks. We think the results will amaze and inspire you. We are so excited to share this with you and hope you enjoy this edition of Modblock. Let’s go make cool stuff together!